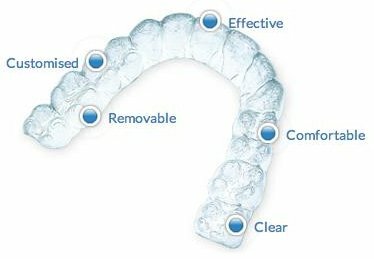 Invisalign® is an innovative brace system that uses a series of clear plastic aligners that are virtually invisible. These are custom made to fit exactly over your teeth, and each set of aligners is replaced every two weeks to gently but effectively move your teeth into the position predetermined by your treatment plan. The aligners are fully removable but need to be worn for 22 hours each day for treatment to be completed within the predicted timeframe. For an ‘invisible’ treatment option that is much faster and more precise, discover Incognito here. 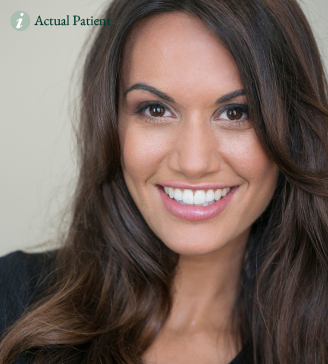 What is The Step-By-Step Process for Having Invisalign®? During a consultation at the Harley Street Orthodontic Centre we will determine if this system is right for you. One of our Invisalign® experts will be able to determine if Invisalign® can provide the type of results you desire, and this is also your chance to ask them any questions you might have. The next step is for your dentist to take photos and impressions of your teeth as well as x-rays. These will be used by Invisalign® to create a 3-D image of your teeth using their Clincheck® software, enabling your dentist to create your treatment plan which will show the exact movements of your teeth. At this stage you'll be able to see a virtual image of how your teeth will look at the end of treatment. Once the treatment plan has been finalised your custom made clear plastic aligners will be fabricated. All you need to do is to wear them for approximately 22 hours each day, removing them for brushing and flossing and for eating. Simply change the aligners every two weeks to continue the treatment, and you'll also need to have regular check-ups with your dentist approximately every six weeks until your teeth are straightened into their new positions. All orthodontic systems will be slightly uncomfortable at times, and Invisalign® is no exception. You are likely to experience slight discomfort or even pain every time you change to a new set of aligners, but this should be easily controllable using over-the-counter painkillers. Treatment time can vary according to your orthodontic problems, but most adults will complete treatment within a year or slightly longer. Your dentist will be able to give you a more exact time frame. You can eat and drink normally while having Invisalign® treatment. All you need to do is remove your aligners whenever you eat or drink something. You can brush and floss your teeth perfectly normally, and it's important to brush your teeth before replacing your aligners. Your aligners can be cared for simply by brushing them gently in lukewarm water and rinsing them thoroughly, although you can also use a special cleaning system available from Invisalign®.